This month DMC celebrates 20 years of being in business as an medical staffing agency in the Phoenix Metro Area. Steve Wootton, Managing Partner of DMC, shares what has led to their lasting success. What was Desert Medical Careers’ vision 20 years ago? What was the unique offering? 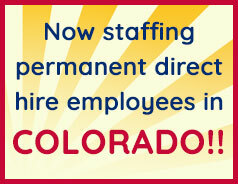 We began with a vision to provide a more specialized and personal approach to medical staffing. DMC has always focused on the individual client and candidate. We meet with each candidate and get to know them face to face. We build lasting relationships with our clients so that we can more accurately meet their particular needs. Is your vision different now than it was 20 years ago? No, this may seem a little old-school with the advent of the internet but we still insist on meeting face to face. There is something lost over the internet. Not that we do not employ all of the latest technology, we do, but people and building relationships on a personal level will always be our focus. How many jobs have been filled by Desert Medical Careers throughout the years? please fill out the form below or call us at 602-468-6300. Why do you think you have survived as a company for 20 years? I think in any business there is always a combination of luck, skill and just plain hard work. I think the latter can create a lot for the former. What is the driving force behind your success as a company? I feel we have created a lasting formula by staying true to our core values of integrity, teamwork, and building lasting relationships with clients and candidates alike. How has the company changed in the last 20 years? Well, as I mentioned earlier, our philosophy is the same and will remain relationship focused. The biggest changes have been technological with the internet, Skype, Facetime, and so many different resume search databases. How is Desert Medical Careers different than the large, online-based recruiting organizations? I hate to sound like a broken record but keeping those face to face connections and relationships are truly the difference. Being in business successfully for 20 years is no small feat. What can you share with others who are either thinking about starting a business or are still in their first couple of years of business? Never give up. Say what you mean and mean what you say always. Never sacrifice integrity for money. contact Desert Medical Careers at (602) 468-6300. When things get tough, what has helped you push through to success? Passion. If you are passionate about what you do, and truly enjoy what you do, it will enable you to make it through those rough days when nothing seems to go right. Our team at DMC has been and remains passionate about meeting our clients’ needs no matter how large or small to this day. Are You Looking for a Job in the Healthcare Industry? Desert Medical Careers has a high demand for Physician Assistants, RNs, LPNs, Medical Coders, and more. We place full-time and part-time positions within the Phoenix Metro Area. With over 20 years’ experience working with healthcare employees, DMC is an expert at matching healthcare workers with their ideal work environment. Contact DMC today at (602) 468-6300.